Plaza Carolina will again have a movie theater complex after a decade without one. 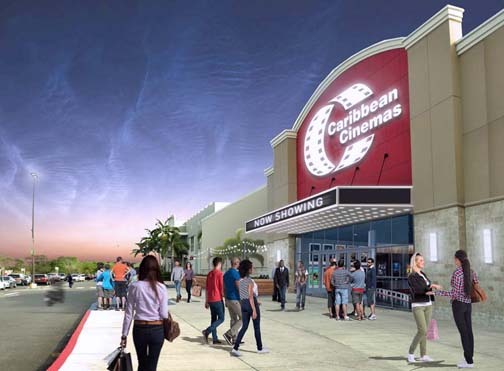 SIMON-Plaza Carolina and Caribbean Cinemas announced Tuesday a leasing agreement to open 11 state-of-the-art movie auditoriums with the latest technology and an interactive lobby with signage focused on customer service as part of the facilities that will be located within the mall. The new movie auditoriums from Caribbean Cinemas will be located at the north wing in the first level in an area of approximately 45,000-square-feet. The operation will generate nearly 100 jobs during its construction phase and some 90 jobs during its regular operations. The opening date is set for spring 2018. The investment was not revealed. “At SIMON-Plaza Carolina we are deeply pleased to be able to expand the offering we provide our guests with a new space for entertainment very anticipated by the community in general,” said Anthony Clementi, General Manger for SIMON-Plaza Carolina. The shopping center had a 12-screen movie theater run by CineVista until 2008. The format for the new facilities will consist of two Premium Large Format (PLF) auditoriums with 70-foot and 60-foot screens each and a 4D screen with special effects, with numbered seats. There will also be eight regular auditoriums, with stadium-like seats, more space between rows and leather seats; and a Deli Café with “a comprehensive and varied menu,” including Gelato, mall officials said. The new movie complex will be located at the space formerly occupied by Sports Authority, within the main structure of the mall and with direct access from the parking lot. Hey Buddy!, I found this information for you: "Caribbean Cinemas to open in Plaza Carolina mall in ’18". Here is the website link: https://newsismybusiness.com/caribbean-cinemas-carolina/. Thank you.